Congressman Polis will give an update on what is happening in Washington DC and what he is working on in D.C your behalf. Then there will be plenty of time for him to take and answer your questions on issues that matter most to you. 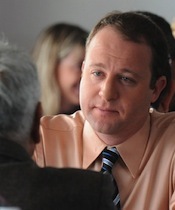 Kick-off the summer with Congressman Polis! Site contents copyright © 2019 Recorder Online	except as noted. All rights reserved. | 91 queries in 2.191 seconds.